Over 8000 armed forces personnel will continue to be protected from tax rises made by the Scottish Government. Thousands of troops who could have been adversely affected by the Scottish Government’s tax rises will continue to be protected in the next financial year. Last year the Defence Secretary announced that to counter tax hikes by the Scottish Government, the MOD would provide financial mitigation to ensure that over 8000 personnel would not be negatively affected. The move came after concerns that income tax changes could have resulted in Scotland becoming a less attractive place for military personnel to be posted. The renewed protection, to cover financial year 2019/20, will protect nearly two thirds of all armed forces personnel liable for Scottish Income Tax. It will also help with recruitment and retention, particularly as many of those affected are personnel with specialist skills, such as aircraft and submarine engineers. The last Scottish Government budget in December 2018 confirmed further divergence between Scottish and UK tax rates and as a result the financial compensation cap for Armed Forces personnel liable for Scottish tax has risen from £1500 to £2200. The plans will protect the personnel who continue to be negatively affected by the income tax hikes. Personnel will be compensated with an annual payment to make sure that all troops, regardless of where they are deployed or where their families are based, will receive similar take-home pay. Be payable to all regular personnel who pay Scottish Income Tax, regardless of where in the world they are serving. Mitigation of between £12 and £2,200 will be paid, with payments grossed up to take account of income tax and national insurance applied when they are made. Cover personnel for tax year 2019/20, with a single payment made retrospectively. The MOD will continue to review the situation and make decisions each tax year as to whether the difference between Scottish tax and tax elsewhere in the UK is sufficient to warrant financial mitigation. 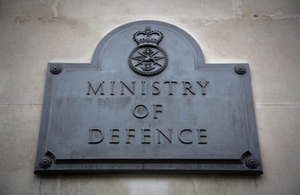 The annual cost to the MOD for Tax Year 2019/20 is expected to be £6 million. Our servicemen and women make a huge contribution to Scottish communities and the economy and it is unfair for them to be hit in the pocket by the Scottish Government’s decision to make Scotland the highest taxed part of the UK. I welcome the Defence Secretary’s confirmation that the UK Government will continue to protect our military personnel from this Scottish Government imposed penalty. Scotland also benefits from £1.6 billion of defence investment in local industry and an average of £290 expenditure per person each year. Scotland is also home to some of the most important national defence capabilities including HM Naval Base Clyde, home to Britain’s nuclear deterrent and hunter-killer submarines, and RAF Lossiemouth, which defends the UK’s airspace with its three Typhoon combat aircraft squadrons and 51st Infantry Brigade.